Google Earth 2012 lets you fly anywhere on Earth to view satellite imagery, maps, terrain, 3D buildings, from galaxies in outer space to the canyons of the ocean. You can explore rich geographical content, save your toured places, and share with others. If you've ever wondered how your neighborhood has changed throughout time, Google Earth 2012 now gives you access to the past, easily check out suburban sprawl, melting ice caps, coastal erosion.. In the new ocean layer, you can plunge all the way to the floor of the sea, view exclusive content from partners like BBC and National Geographic, and explore 3D shipwrecks like the Titanic with Google Earth 2012 6.2. Take placemarks a step further and record a free-form tour in Google Earth 2012. Simply turn on the touring feature, press record, and see the world. You can even add a soundtrack or narration to personalize the journey. A freeware screensaver that shows hidden location from the Google Earth. Delphi 5,6,7 components for revealing Google's PageRank value. Find all about Earth For Energy. 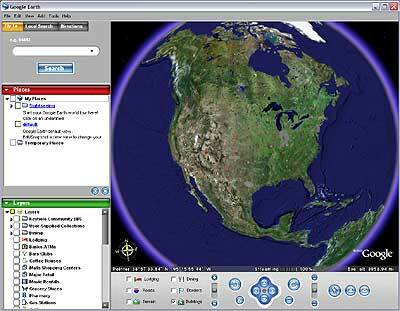 Qweas is providing links to Google Earth For Linux 2012 6.2 as a courtesy, and makes no representations regarding Google Earth For Linux or any other applications or any information related thereto. Any questions, complaints or claims regarding this application Google Earth For Linux 2012 6.2 must be directed to the appropriate software vendor. You may click the publisher link of Google Earth For Linux on the top of this page to get more details about the vendor.